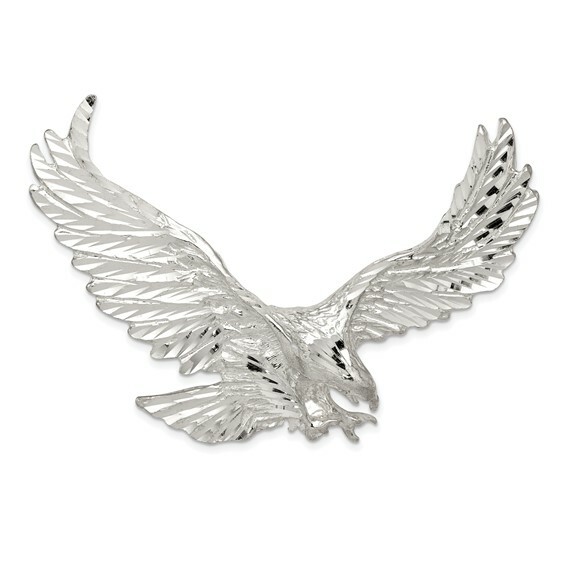 This extra large eagle with outstretched wings pendant is made of polished sterling silver. Item measures 1 7/8 inch tall by 2 1/2 inches wide without bail. Fits up to a 6mm chain. Chain slides through the tops of both wings. Weight: 10.68 grams.